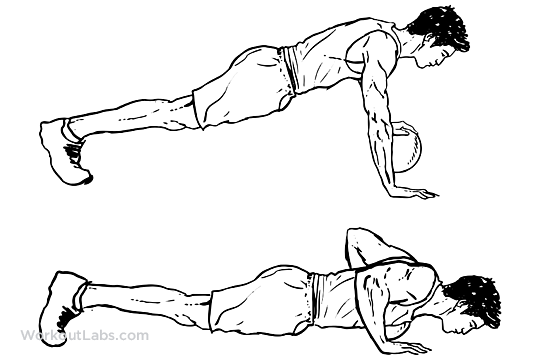 In a push-up position, place one hand on top of the medicine ball and other hand on floor, slightly wider than shoulder width apart. Keep one arm straight on floor and other arm bent with your hand on the ball. Straighten body and set feet shoulder width apart. Lower body until you feel a stretch in your shoulder and / or chest. Push body up in a rapid motion.